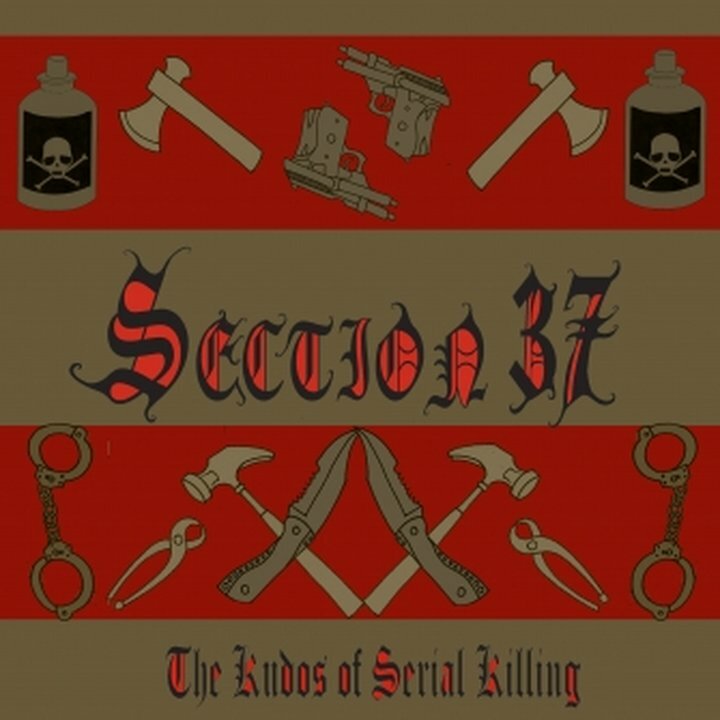 Section 37 is inspired by many bands, an eclectic mix such as Front Line Assembly, Lustmord, Tangerine Dream and Skinny Puppy. 'The Kudos Of Serial Killing' is an album purely compiled by 'serial killers'! The concept being that each killer belongs to a style, or guild, and expresses his 'modus operandi' in his own style of music. The album has a very eclectic style from drum'n'noise to darkwave to electro with other stops in between. Each track is heavily sampled with real, and cinematic serial killers, stating their processes.